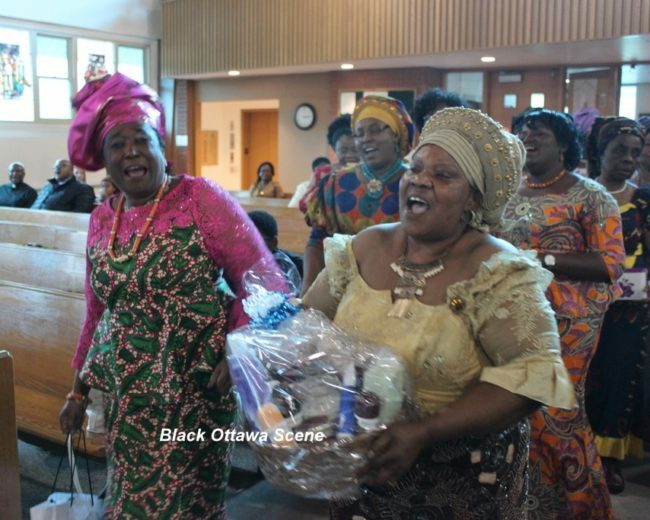 The Catholic community of Ottawa hosted its 2018 Harvest Thanksgiving service last Sunday at Our Lady of Mount Carmel church on St. Laurent Boulevard. The mass was celebrated by Rev.Fr. Emeka Onyeogubalu, with some 200 parishioners, their friends and families in attendance. Following the service, guests were treated to sumptuous dinner provided by the church members. During the fund-raising part of the celebrations, the event raised close to $5,000 in support of the church. Kudos to the Harvest Committee: Chairman Chukwuma Jacobs, Chioma Iheozor, Elizabeth Udeozor, and Fr. Charles Ezinna and the ever hard-working church coordinator, Ike Nnebe.